The Global Environment Facility (GEF) has committed $9.1 million for a project to clean up and protect Lake Victoria. The operation should have an impact on 100,000 residents. Lake Victoria is part of the Great Lakes of East Africa. Its waters are shared by Tanzania, Kenya and Uganda, as well as Burundi and Rwanda, which are part of the watershed of the water body. It suffers from its proximity to major cities such as Kampala, the capital of Uganda, or Mwanza, a port city in northern Tanzania. Wastewater produced by people and factories in large cities flows untreated into the great lake…. “Untreated wastewater causes eutrophication throughout the lake and provides a fertile environment for invasive weeds, such as water hyacinth. As a result, fish stocks are depleting,” says Naoko Ishii, Executive Director of the Global Environment Facility (GEF). 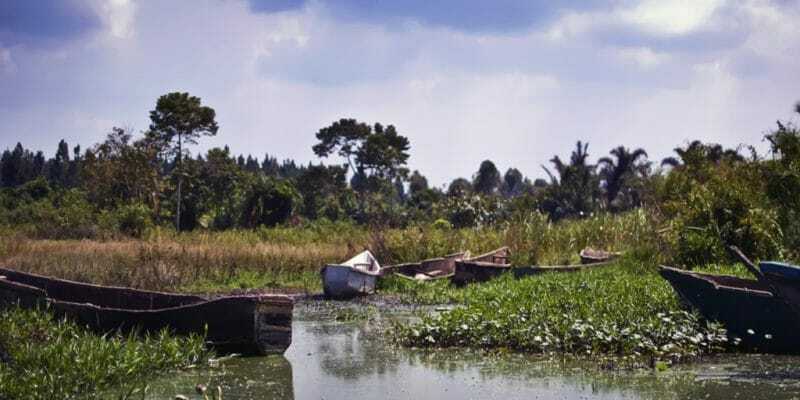 The institution she heads has decided to provide $9.1 million in funding for Phase III of the Lake Victoria Environmental Management Programme (LVEMP). GEF funding is in addition to the $251 million already mobilised by East African countries for LVEMP. Like other components of the programme, the objective is to deal with wastewater and waste pollution and, above all, to fight the proliferation of the water hyacinth that colonises the entire lake. Specifically, for a period of 5 years, starting in 2019, the World Bank, the Lake Victoria Basin Commission (LVBC), Kenya, Tanzania, Uganda, Rwanda and Burundi will rely on local communities, including fishermen, who have better control over the waters of Lake Victoria. They will help control the spread of water hyacinth. Priority will be given to fish breeding areas because this invasive grass reduces the amount of oxygen in the water. The GEF estimates that around the lake, 100,000 people will be affected by the project. Since the main cause of the spread of water hyacinth is wastewater pollution of the lake, one of the important steps in Phase II of the LVEMP was to map the most polluting industries around the lake. These include bakeries, dairies, distilleries, engineering, fish processing, food processing, horticulture, textiles, tea, sugar, soft drinks, pulp and paper, petroleum and minerals. Overall, 260 industries were identified. Of these, only 89 have been mapped. The wastewater from these establishments was analysed in order to measure the intensity of the pollution emitted by each of them. The results obtained made it possible to form trainers in each industry on the effectiveness of more environmentally friendly production. LVBC estimates that to date, 140 people have received training. They will be responsible for raising awareness and sharing their knowledge with all employees in the companies.